At E3 2016 Defiant Development offered a glimpse of Hand of Fate 2, the sequel to their action RPG with board game and CCG elements that has more than 2 million downloads. IGN stopped by to get hands-on with the game. 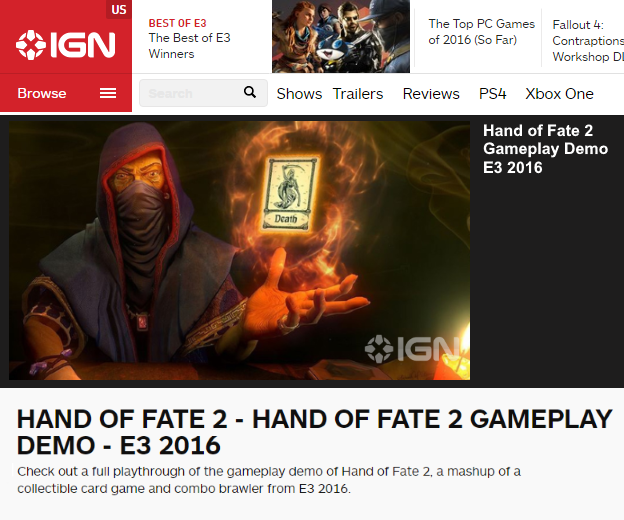 This entry was tagged Defiant Development, E3, E3 2016, Gameplay Demo, Hand of Fate 2, IGN, RPG. Bookmark the permalink.